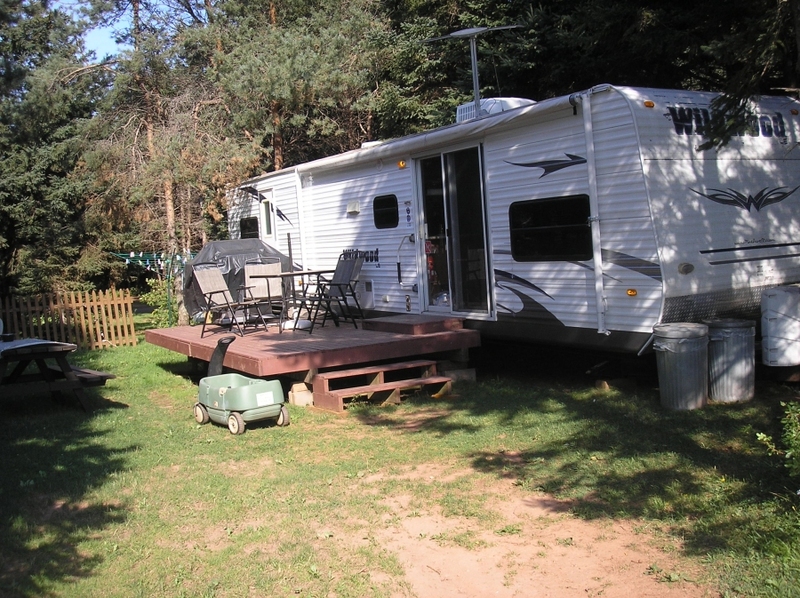 2 bedrooms - Queen bed, slide out Master bedroom, 4 bunks, double slide in kitchen - living room. Located on lot WS-87, Harbour Lane. Rate $700.00 per week in season plus taxes and site fee. Deposit required.